Everything where you can see it, and only a click away. Giving you great clarity into your operation. Work with your whole team in a shared environment. Quickly search and navigate your entire system. Manage multiple districts in one place. No map data to buy. No complex geocoding, just the simple interface you're used to, integrating all your transportation data. Map bus routes, student homes, and schools with an easy click. Generates turn-by-turn driving directions on the fly. Check out arial and street view imagery with your bus routes. Need to change a route's travel path? Just drag and drop it. Need to move a bus stop? Just drag and drop it. Driving directions and all reports are instantly updated. Don't like what you did? Just cancel it to reset the route. Avoid traffic, construction zones, bridges, highways, or turnarounds. Protect yourself, your staff, and most importantly, the students you transport. Track licenses, trainings, medical exams, vehicle registrations, inspections, or anything you need. Receive alerts when items need attention. Set alert frequency to give yourself plenty of time. 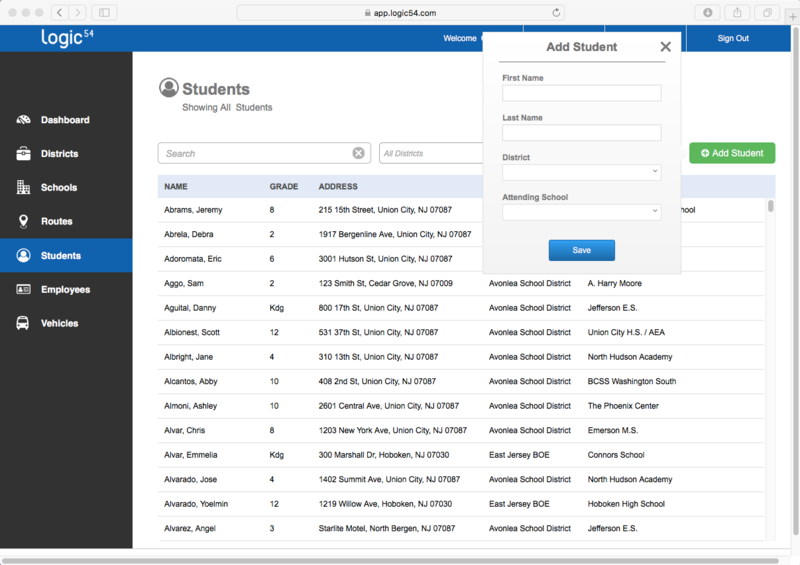 Take greater control of your student data, with built in flexibility. Flexibility for daycare, split custody, grandma's house, or wherever they need to go. Custom fields for those unanticipated child needs. Complete, up-to-date student information on your route sheets and reports. 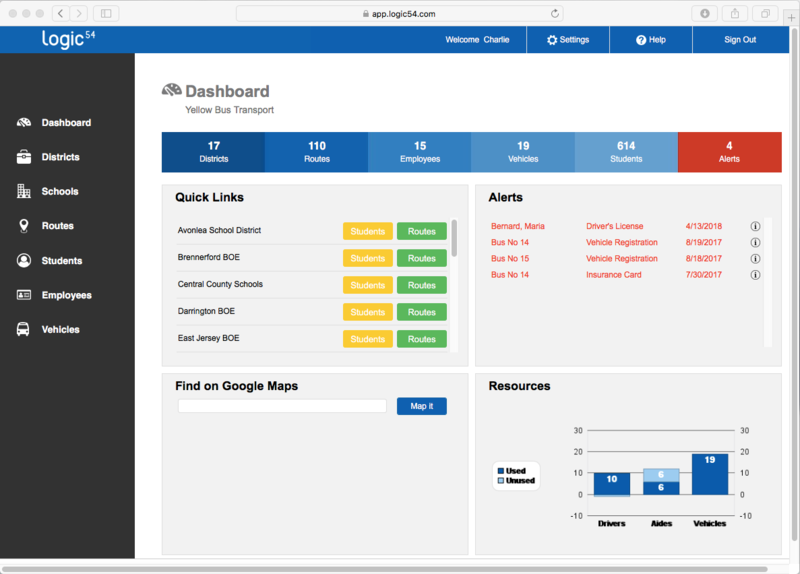 Oversee your mission critical resources with information at your fingertips. 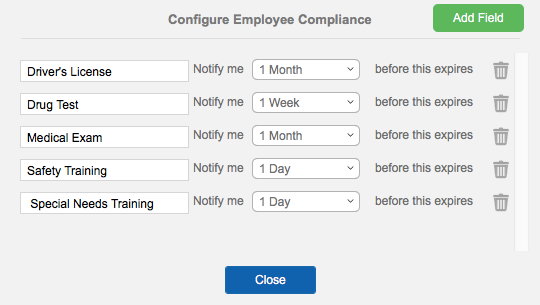 Employee and vehicle information all in one place. Easily assign drivers, aides, and vehicles to routes with a simple dropdown. Keep it all up to snuff by recording and tracking key requirements. Communication is key, and reports make it easy. We've got a lot for you, and you can add more. Get the reports you need from the screen you're on. Auto-generate PDF's for fast emailing. 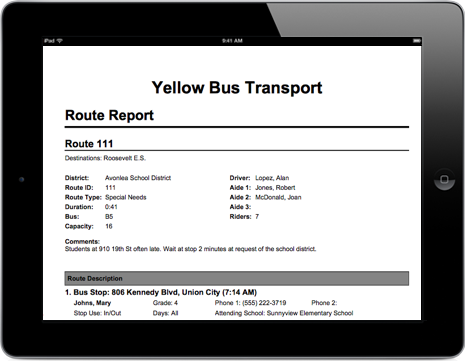 Quickly get route sheets to bus drivers, or bus passes to kids. Make it fit like a glove and configure Logic54 for your unique operation. Customize fields throughout the platform to track everything that's unique to you. 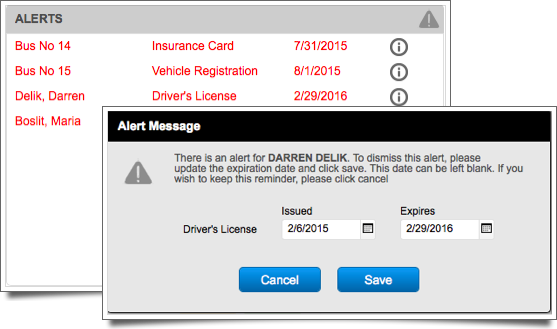 Customize your compliance and alert system for employees and vehicles . Need a special report? We've got you covered. No servers to install and maintain. Just log in and go. Sleep easy knowing your company data is automatically backed up every night. Have your data everywhere you are. Access your system at home, the office, a cocktail party (yea, we know you get the cloud thing). Get a turn-key system ready to go. We know you don't have time for on-boarding new software. That's a job in and of itself! That's why we've created our JumpStart Program. Is your data in legacy routing software, excel, word, PDF's, paper, or even on the back of a napkin? Don't worry - we'll digitize it, bring it into Logic54 and give you a turn-key system ready to go. Ready To Check Out Logic54?